"When we left, which was unbelievably sad, I was deeply moved by the appreciation of the young talibés, by their smiles. They had prepared a song for us," recalls Daphné Deschambault, a secondary-five student at Polyvalente Saint-Jérôme in Quebec. 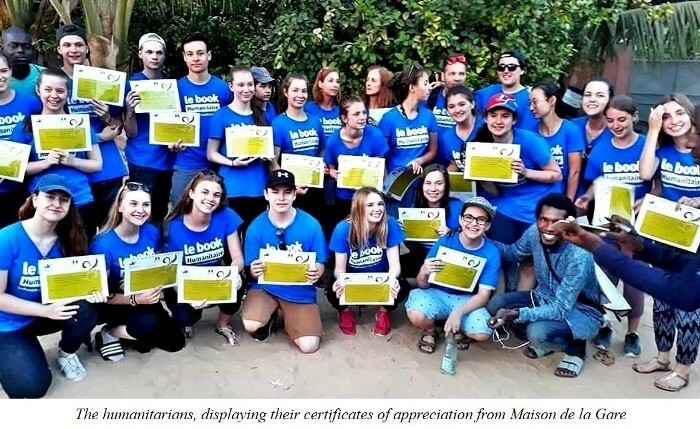 Twenty students from the Polyvalente and two teachers, Alain Dionne and Isabelle Levert, joined Rachel Lapierre, the founder of Le Book Humanitaire, to take a flight to the far reaches of the earth, to Saint-Louis in Senegal. It’s a poor and overcrowded city where there are talibés confined in daaras (the name given to Koranic schools). A talibé is a young boy from a poor family who has been entrusted to a Koranic teacher (a marabout) and who is expected to perfect his religious knowledge. "Do not look for girls," says Geneviève Bédard, another participant, "it is total inequality between the sexes in Senegal." The fate of the talibés could not be more tragic. "It’s enough to fall into the hands of a bad marabout," says Émile Éthier, still proud of his experience building a concrete floor in a daara. Indeed, these naive children, virtual slaves, too often have to beg and take care of domestic tasks to enable their religious master and his family to live well. Unhealthy conditions, filth, poverty, disease, malnutrition. So many difficulties, but these boys live without it ever suppressing their proverbial smile, their thirst for discovery and their faith in existence. 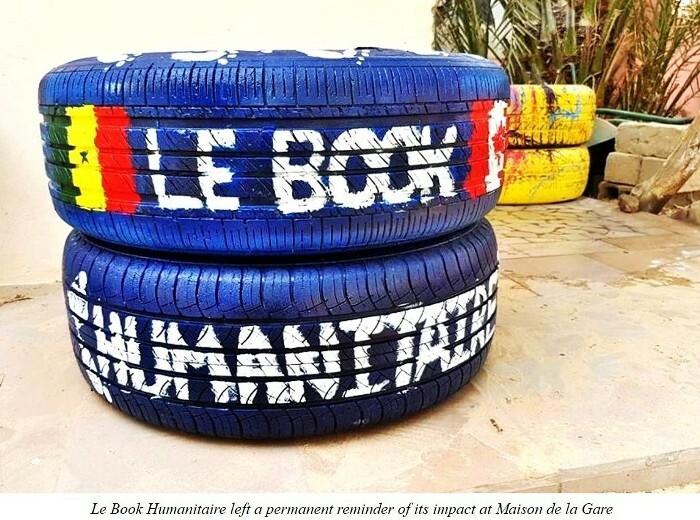 The mission of the non-profit organization Le Book Humanitaire is to bring about positive change in such situations. To help, to want to share one's knowledge, one's humanity, is one thing. To do this in a situation where the reality is so different from our cultural points of reference is something else. "Children here fight for food ; we throw it out," says Genevieve. Daphne adds: "When I realized that not all the children were going to receive the food we had prepared for them, I was really upset." Children who reach out their hands, wanting food but caught in the deprivation imposed by the Muslim Ramadan. This reality opened the Polyvalente students’ eyes. They felt pampered and privileged. "Young talibés are happy and grateful for life. We have everything, yet we are materialistic and dissatisfied. It changed me. I can’t wait to leave on another trip" says Justine Ouellet, her eyes sparkling. In a country where a man’s wealth is measured by the number of goats he owns, the cultural differences are obvious. When the number of television antennas on a Senegalese house indicates the number of women a polygamous man has married, the culture shock is total. The Polyvalente students, including Émile among others, have changed their personal habits. "In this context, seeing such poverty, I realized that I prefer to give rather than receive, especially to those who are poorer. Since my trip I am more sensitive to the misery of others, to the homeless as well. I even finish my meals!” he exclaims thoughtfully. 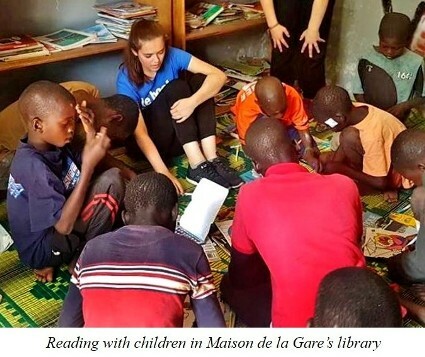 Several work projects organized by Le Book Humanitaire gave students a chance to develop new skills. Some students were introduced to the world of basic health care in Maison de la Gare’s infirmary. "I learned to bandage, wash and disinfect wounds and to take blood pressure," says Geneviève Bédard, while one of her companions adds that some young children seek care only for the sake of being comforted. 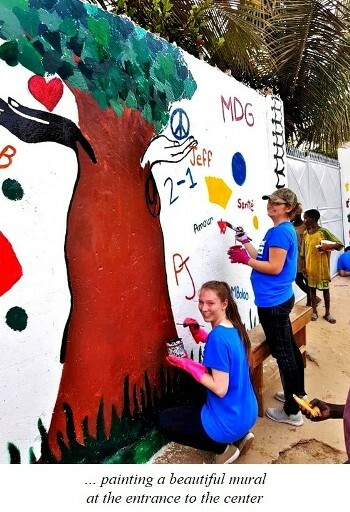 Other students helped by painting a beautiful mural at the entrance to the center, and by beautifying the garden with colorfully painted discarded tires. 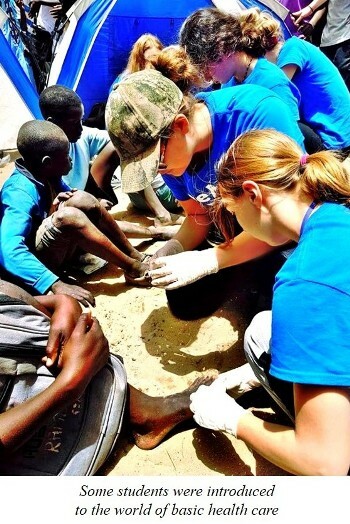 "I loved the contact with the children while we were working on these projects," says Justine. Isabelle continues: "I don’t know if I should be happy or sad. 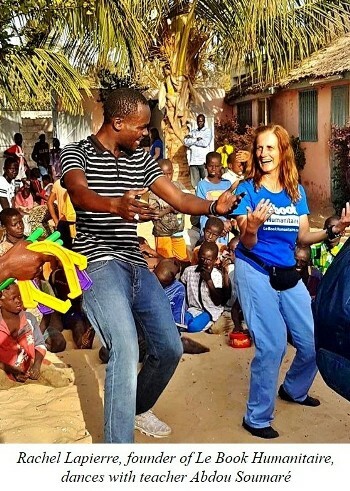 I am happy because young students from Canada have left their studies, their families, their work, their comfort zones to help the talibé children of Maison de la Gare, and to better understand the causes of forced begging of the talibé children of Senegal. But even more, we had the immense pleasure of working with them. We truly hope that the bonds that have been forged will last forever and that we can continue to be a vibrant network of young intellectuals ready to work for a better life for the talibé children." But beyond all these unforgettable memories, a doubt remains. The needy glances, the powerlessness in the face of a society whose organization escapes us. Through all this, Émile's wisdom offers hope. "The talibés find happiness in all the little things," he says, comparing our attitude to theirs.